WhiMSy love: A short piece of bent wire. A short piece of bent wire. My 7 year old is currently obsessed with the stapler. And, more specifically, obsessed with making books with the stapler. 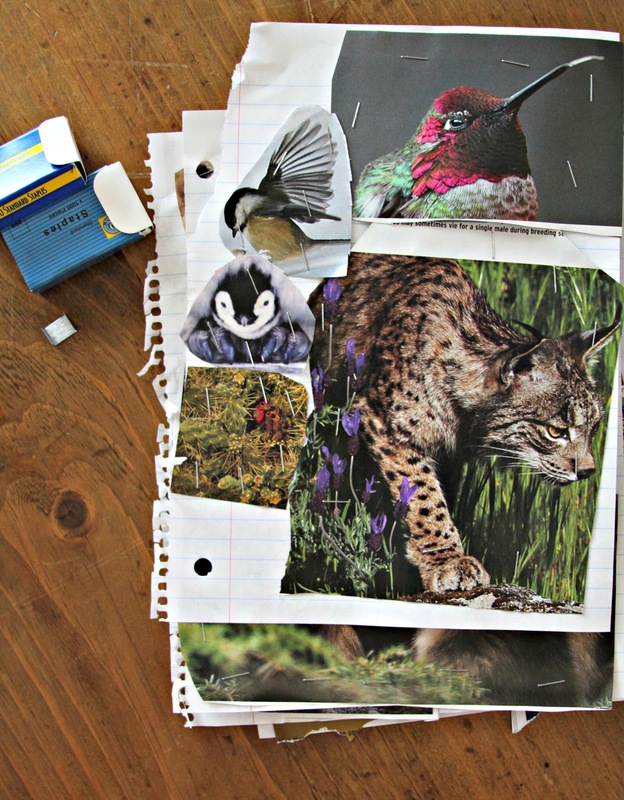 She simply cuts pictures from magazines & reassembles them on lined notebook paper in themes such as "Animals", "Wildlife", & "Dogs". She even has an alphabet book where she basically traced the shape of each of the 26 letters in staples. Do I think she is using a lot of staples? Yes. Did I offer her the use of my glue sticks? Yes. 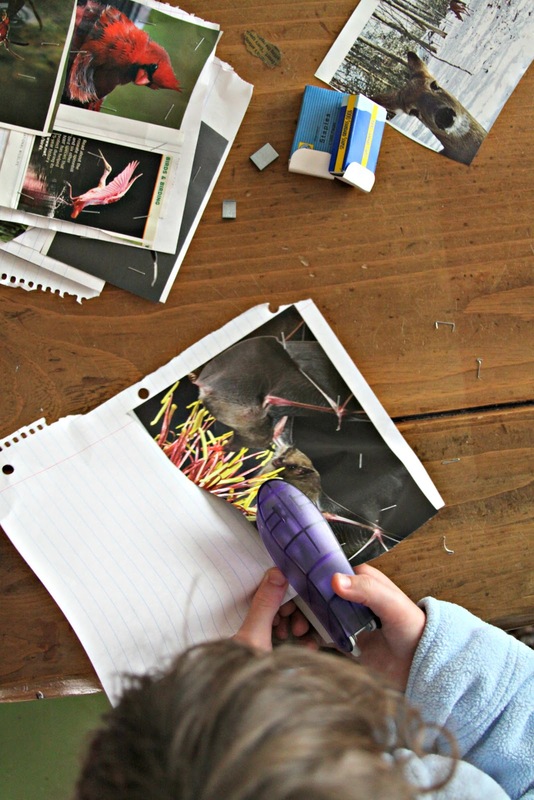 Will I be the mom that tells her she is using a lot of staples? No. Will I quickly hush her older sister when her older sister starts to yell, "Pazely! You're using too many staples!!!!" Yes. I love hearing the crunch-crunch-crunching sound of the stapler coming from her bedroom as she sits on the floor & makes books. And when she hears me rustling about in the dining room, she brings out all her supplies & creates beside me. I'm currently on a mad hunt for more magazines. Oh yeah...& I need more staples. You can get magazines for really cheap at the friends of the library book sale. Ours sells magazines for 10 cents. Perfect for projects! Sounds like she needs one of those staplers with the extra long arm for reaching to the middle of the page.